Don’t be intimidated by creating a financial plan. Follow these easy steps and in less than an hour, you’ll have a roadmap for financial success. Ready to get started? You probably have financial goals, but do you have a plan that outlines out to reach them? A financial plan can have significant financial benefits, like eliminating debt, escaping the cycle of living paycheck to paycheck, paying off your mortgage early, gaining financial security, and earning money through investments. 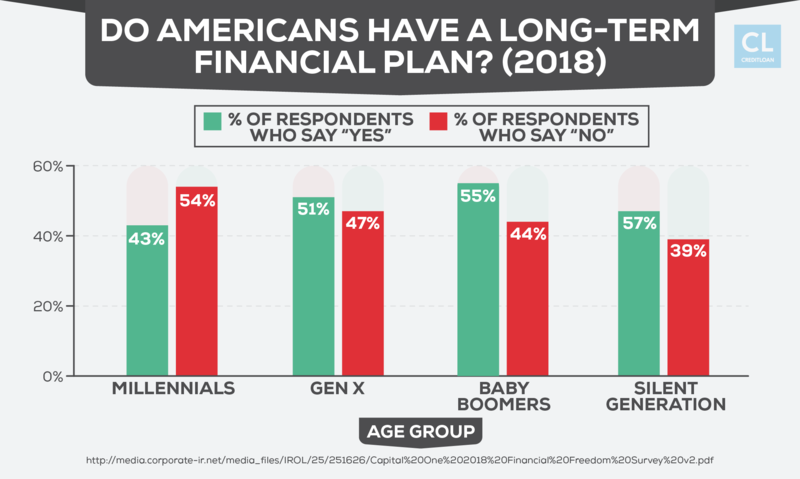 Despite all the advantages creating a financial plan provides, it's a fact that most people are too hesitant to take ownership of their finances. So they end up putting it off for later, or just paying someone else to do what they could have done better themselves. While there are benefits to hiring a financial planner, no one knows your finances and your family's goals better than you. Creating a financial plan for you and your family is not an arduous chore. Plus, you’ll be saving money by not outsourcing the task. With a handful of tips and some helpful resources, you can put together a financial plan for your entire life, and it won't even take you more than an hour! Here's how. Most people who get into trouble with their finances start off finding themselves in a terrible relationship with money in general. Hit the "reset" button on your attitudes toward money.In order to prepare yourself to plan the rest of your financial life, you need to have the right mindset. Money is the means to an end, not the end itself.Money isn't the end-all-and-be-all in the world. It's a powerful tool to achieve certain results you identify as important to you. You are your biggest financial asset.You need to recognize that your most important financial asset is yourself. Investing in yourself will pay off in your future, whether it's through education and skill upgrades, taking care of your health, or making smart career choices. Money isn't scarce. If you can change your attitude from thinking of money as scarce and something only other people have, you'll have made the first step to getting a handle on it. As with almost anything in life, when you know where you want to end up, it's a lot simpler to connect the dots and fill in the steps to get there. Don't feel your goals need to be set in stone. The truth is, nobody can tell the future, and no one knows how their finances (or even the economy) will be in 10-40 years. The goals you set today will likely change as time passes and circumstances change (for example, if you get married and combine finances with your partner). Change is to be expected and you'll always have the chance to course-correct as you review and tweak your goals yearly. 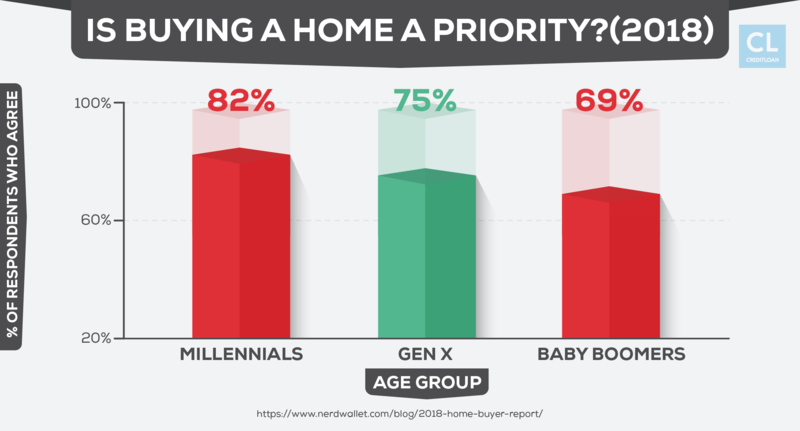 Everyone's priorities are different and people's financial goals vary depending on the phase of life they're currently in. Giving yourself a target for the age you'd like to achieve your goals by makes it easier to plan how to get there within that time frame. Below are some examples of targets different people might set for themselves as part of their financial plan. Graduate college by age 21.For young people, an early graduation means the end of paying tuition and the start of their careers as wage earners. The earlier college is over, the sooner student loans can get paid back. Pay off all student loans by age 30.By setting an ambitious target to get your student loans paid off in full, you'll be more aggressive with your payments. Paying off student debt early means paying less interest overall. When it's done, you can redirect what you budgeted for monthly loan payments toward investments. Save up $150,000 by age 35.Setting a goal for your savings allows you to calculate exactly how much you'll need to earn and save to achieve it. Research has shown 57% of households with financial plans are able to save 10% of their income, compared to just 39% for non-planners. Develop three income streams by age 50.You are your greatest financial asset, and by age 50 you'll have collected enough skills and knowledge to diversify your income. Multiple income streams by age 50 can mean a sustained income into retirement, so you won't need to touch your retirement savings or pension until you have to. Retire by age 40.If an early retirement is at the top of your priorities list, set your goal and figure out what you need to do to make it happen. A 25-year-old millennial earning $50K a year could retire by age 40. They'd need to spend the next 15 years saving 48% of their income and living off just $26,000 a year, but it's doable when you set up a plan. Having a $50,000 emergency fund to cover unexpected expenses.Every household should have an emergency fund, but the reality is most don't. Data from the NORC Center for Public Affairs Research shows 2/3 of Americans would struggle to scrounge up $1,000 in an emergency. Achieving your goal to have a cushion in case of a loss of income or unexpected expense will put your mind at ease. Break the goals you've identified into three categories: short-term, mid-term, and long-term. Indicate which goals should be achieved within 1 year and those you want to reach in 5 years, 10 years, 20 years, etc. Put a price tag on your goals. Once you've clearly written down your financial goals and the timelines for achieving them, do some math and research to assign a specific dollar amount to each one. For example, if your goal is to save for retirement, use the 4% rule. According to the 4% rule, you need to save enough for retirement so you're able to take out 4% per year from your retirement account to cover your expenses. If you predict your annual retirement expenses will be $30,000, you'll need to save $750,000 in your retirement fund to support a 4% withdrawal each year. Before you can effectively plan for your financial future, you need to take stock of your current situation when it comes to your assets, earnings, and debts. If you're married, make sure you assess your combined financial status so you can work together to achieve your goals. An easy method for determining whether your current financial standing is healthy or unhealthy is by calculating your net worth. Your net worth is calculated by taking everything you own that's worth money (your "assets") and subtracting what you owe on those assets (known as your "liabilities"). Assets include your car, your home, investments, and cash savings. Liabilities include student loan balances, mortgages, car loans, and credit card debt. When you make the calculation, what you get is a snapshot of what would be left over if you sold all your assets to pay your debts. Let's look at a couple of hypothetical examples of how to calculate net worth. Try to be like Bob. Bob (35 years old) owns a home valued at $250,000 but still owes $150,000 on the mortgage. He's paid off his car and it's now worth $7,000. He's got a 401(k) retirement investment account worth $25,000 and a savings account with a $5,000 balance. Bob still hasn't completely paid off his student loans and still owes $20,000. He's also got a credit card debt of $1,000. With total assets of $287,000 and debts totaling $171,000, Bob's net worth is $116,000. Realizing you have negative net worth could be an eye-opener. Amy (25 years old) owns a car worth $20,000 but still owes $15,000 for the car loan. Her 401(k) retirement account has $2,000 and her total savings are $1,000. She's got $5,000 in credit card debt and $50,000 left to go on her student loans. When you subtract Amy's total debt of $70,000 from the $23,000 she has in total assets, her net worth is −$47,000. If you do the math and discover your net worth is less than zero, your first goal could be to get it into the positive. The next thing you should check in on to figure out your financial situation is your income versus your expenses. Subtract what you spend from what you earn.Add up your yearly take-home pay and any other income streams you have, like investment income or rental income. Then figure out what all of your monthly expenses are (including your accommodation expenses, utilities and phone bills, and food costs), and multiply them by 12 months. Subtract your expenses from your earnings and you'll have an idea of the disposable income you have (or don't have) to put toward your goals. Another straightforward calculation you can make to assess your current financial standing is to figure out the rate at which you are saving money. Since you've already calculated your earnings and your expenses, the mathematical formula will be easy for you to fill in and complete. You simply calculate your income for a specific period and your spending for that same period. Subtract what you spend from what you earn like you did in the previous calculation. Divide this number by your income and multiply by 100, and then you'll have your savings rate. You'll know what percentage of your income you're saving. For example, if you subtract $60,000 in expenses for one year from an annual income of $100,000, you get $40,000. Divide $40,000 by your $100,000 income and multiply by 100, and you'll discover you have a savings rate of 40%. Lastly, the final thing you should get a handle on is your debt and the terms of each of the debts you are carrying. Use one column to name the debt (for example, "car loan"), another column to enter the original loan amount, and a third column for the amount still owed. Then create a column for the interest you're being charged on the debt (for example, your credit card APR) and how much you budget each month to pay it down. Finally, do the math on how long it will take you to pay each debt off at the current rate you're paying them down. Choose a snowball or avalanche approach. As you're setting your goals and targets for eliminating your debts, you could take the "snowball approach" and pay off the smallest debts and work your way up. Or you could choose the "avalanche approach," where you choose the debt with the highest interest rate to pay off first and then work your way down. Approaches like these can often help in paying off debts quicker; the key is to choose one and to really stick to it as best you can. Now you know what your starting point and desired ending points are. The next step is to rank all of your financial goals based on their priority, and zero-in on the top three. Deal with first things first. This doesn't mean you're abandoning all of your other goals. Focusing on achieving a few primary goals can help you build the momentum you need to achieve your secondary goals. For example, eliminating your student loan could be identified as one of your top three priorities, ahead of saving for retirement. Once you've finished paying off your student loan, you can start attacking your retirement goal. Redirect what you've already budgeted for the loan payments toward your retirement fund investments. Pursue your goals with laser focus.Instead of scattering your energy in a million different places, your efforts will be concentrated where they can have the biggest impact. A typical breakdown of financial planning priorities would look at paying off debt first, achieving a specific net worth by a specific age, and hitting a certain income level. The next set of goals could include building an emergency fund, saving and investing money for the future, and paying off a home. Reap all the benefits. With the achievement of each of your goals, the impact of your success will trickle down into other areas of your life and finances. For example, once you've paid off your mortgage, you might have freed up enough funds to afford yearly luxury vacations. The top three goals you've set are outcome goals, which means they're big-picture goals or milestones. Now it's time to get specific. Let's say, for example, that you've set the goal for yourself of having three different income streams within five years. It's great to know that's your goal, but what you really need is a step-by-step plan. Break it down into pieces.Take the big goal and identify the smaller tasks you need to fulfill in order to achieve it. For the example of the person looking to establish three income streams, they could break it down into multiple separate goals. Starting an online business could be one of them, and renting out a spare room as an Airbnb could be another. The smaller goals can be broken down even further. 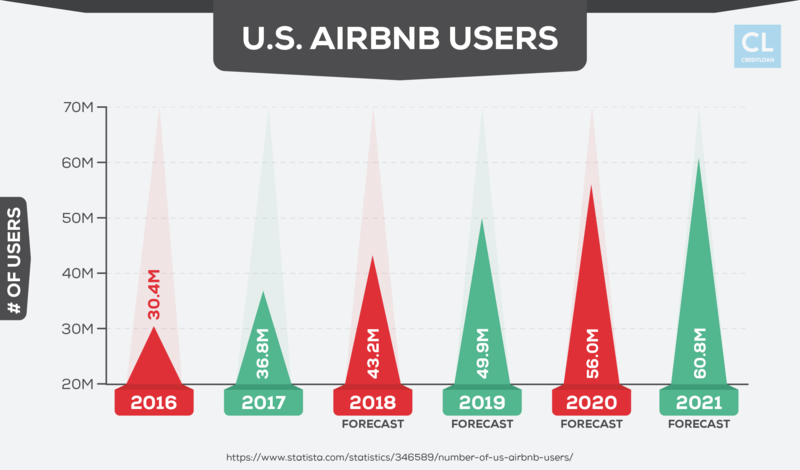 Renting a room on Airbnb might require you to do some decorating or to install a new restroom. Those tasks then become smaller, more specific, and easier goals for you to work toward. Make sure it's a true action plan. The point is, you need to identify all the tasks and actions needed to get you from where you are now to where you'd like to be. When you create an actionable plan, those planned activities and the basic financial habits that you do on a daily basis contribute to you ultimately achieving the result you want. Rather than putting it off for next week or next month, spend an hour to create your very own financial plan today. You're the expert on your own life, finances, and goals, so you're in the best position to create a plan best suited to your priorities. Instead of spending money on a financial planner, follow the steps I've outlined above to create the best financial plan for yourself, you'll end up already ahead of the game by a few bucks. Time and again, I've seen people either drift aimlessly—risking their financial future by living their lives without a financial plan; or get sweet-talked into paying for financial planning they could have done better themselves. With just a little bit of guidance and about an hour of your time, you could develop a helpful plan to guide you for the rest of your financial life. Just remember, your financial plan is not set in stone. As your goals and life circumstances change (e.g. marriage to a spouse, work promotion, etc. ), your financial plan should accurately reflect those changes. The most important thing here is to take the steps I've listed above and put together your very first financial plan based on your current situation. One thing you'll realize as you go along, is that simply getting yourself involved in the financial planning process can be incredibly motivating and empowering. What's more, the new positive attitude you'll develop toward money will help you live your dreams in the long term. Do you have any experience when it comes to do-it-yourself financial planning? Any success stories (or nightmares) you'd like to pass along?